Aug 28—Sometimes the best laid plans of mice and men result in...well, chaos. A key part of today seemed a bit like that: logistical chaos. Our day started with an early morning drive to the airport in George, from which we then flew to Johannesburg. In other words, a non-photography morning. Or, at least, a low key photography morning, as I did note a few students taking some "travel pictures" along the way. From the Jo-berg airport we immediately hopped on a minivan to our photography destination for the day: the Ann van Dyk Cheetah and Wildlife Center in De Wildt, just outside of Pretoria. This 65 hectare farm has been turned into a research and breeding center for cheetahs, wild dogs, and other endangered African species. 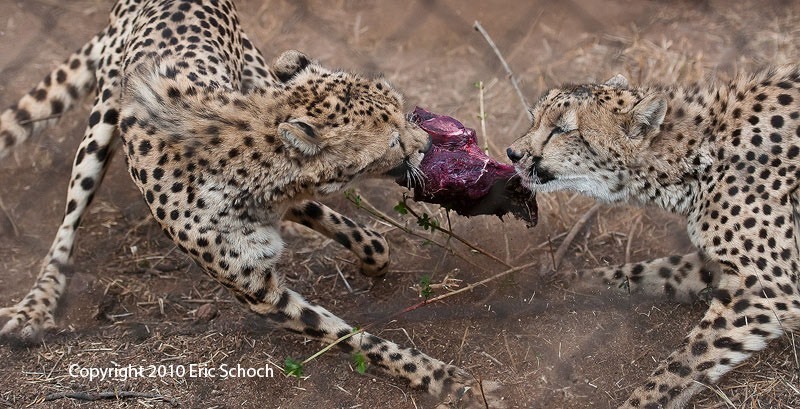 Given that perhaps only 700 cheetahs existed in southern Africa when the center was founded in 1971, the fact that they've now bred, raised, and settled in game reserves as many as 500 cheetahs in the ensuing 40 years is an impressive accomplishment. Unfortunately, getting to the center proved to be our greatest challenge so far. First, the area businesses were holding a special auction event outside the property, which distracted us into stopping, but second our bus driver had the wrong address anyway, which caused us some additional grief. The problem is that the center only does two pre-planned programs at fixed times each day. It's not like a zoo where you can walk in and wander around the exhibits. Thus, our delays in getting there were jeopardizing our ability to have any photographic experience at all. I should perhaps back up and tell people why we're at a captive animal facility at all. 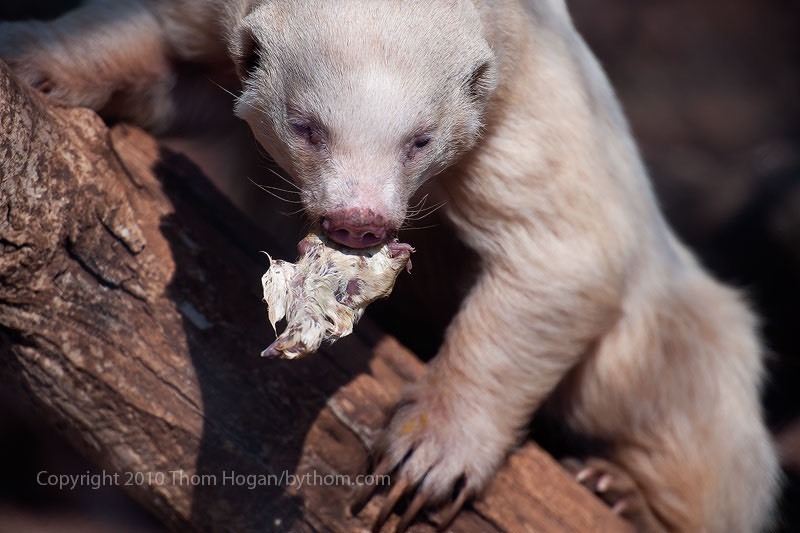 One of the things that I've noticed in doing wildlife workshops and observing others is that at least some--and sometimes a majority--of the students come in with misconceptions or technique issues regarding things like focus (exposure is another area that comes up often). By putting us in a more controlled and predictable environment, it gives me (and my assistant Tony if he's along on a trip) the chance to observe and work with students on some of the basics before we get to the wilds, where anything can and does happen (let's just call that foreshadowing ;~). 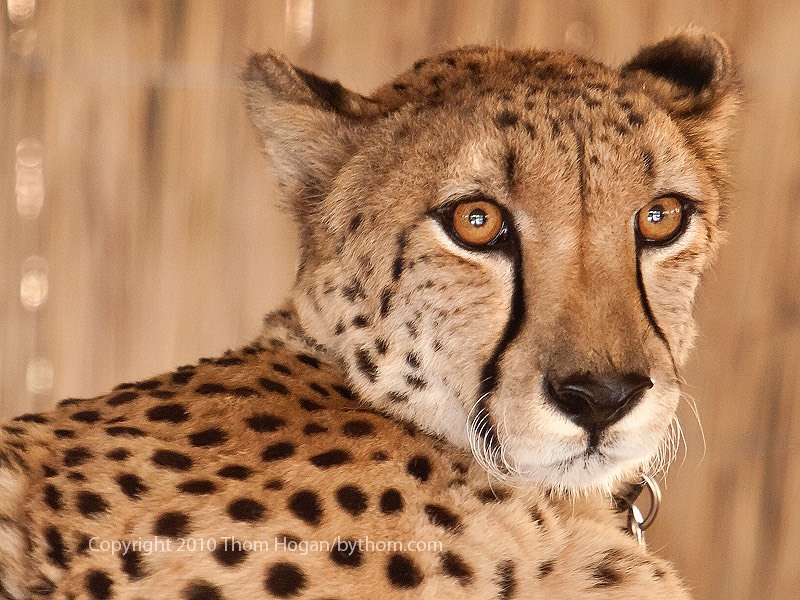 Indeed, within minutes at the cheetah center I found that at least two of the students had a significant misconception about Single Point autofocus mode. 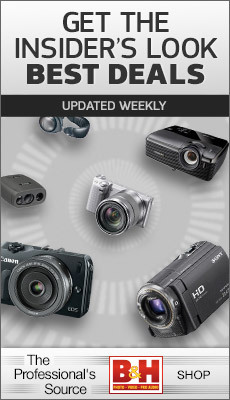 It is not what Single Area autofocus mode used to be. Single Point does not track focus. Ever. Single Area used to track focus, sometimes. This small difference is enough to produce slightly out of focus shots if you're not aware of it. Having a more fixed relationship between the photographer and animals as we did at the center (more on that in a bit) makes it easier to remove quite a few variables from the equation and makes it simpler for me to discover such problems while we can still do something about them. That's one of the reasons why we're here, and why I almost always schedule something similar at the start of any sport or wildlife workshop. Unfortunately, logistically, things turned out a mess and I didn't fully recover from that, so the session wasn't as good as it could have been (though still quite useful and fun). The problem was that I had no time to prep the students prior to us joining the De Wildt's packaged program, as I had planned. That's because we had also had to get to the nearby Cheetah Lodge to pick up lunches that had been prepared for us. By the time we got to the center itself, the program was just beginning, so it was a race to get our gear out of the bus and rush into the facility to join the program already in progress. Who's Baron? Well, he's an ambassador animal. 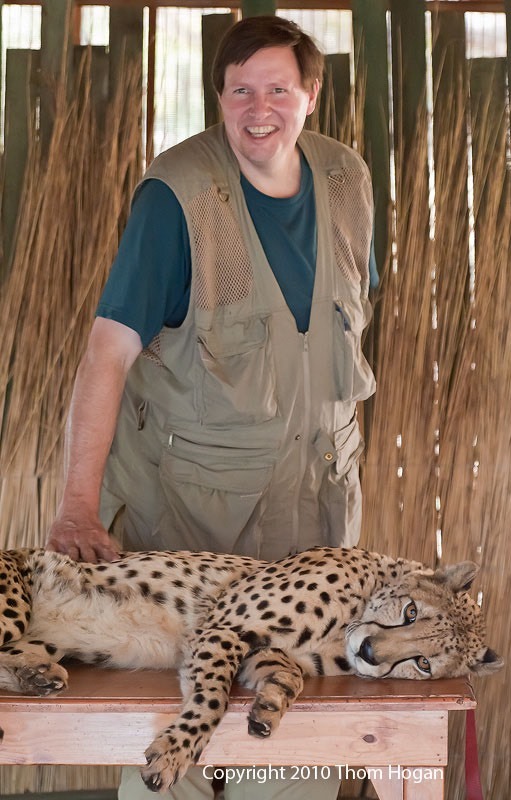 The center brings a cheetah like Baron--who's been acclimated to people--to South African schools as part of a one-hour presentation on the history of the cheetah and why it needs to be preserved. Then, at the end of the presentation, students can come up a few at a time and pet Baron (yeah, try getting away with that liability in the US). At the center, the first bit of business to any tour is this: donate money to the program to bring wildlife education (and Baron) to more South African schools and you, too, will get to meet and pet Baron, and even have your picture taken with him. It's interesting to look at all the pictures of the various students with Baron (and me, for that matter): we all have these big silly grins on our faces. Baron—well, as you can tell by the shot, above—he's pretty darned relaxed. You would be, too, if you were getting a hundred massages a day followed by a nice bowl of your favorite food. But the highlights of the three-hour program are the African Wild Dogs and cheetahs. To me, the Wild Dogs were the most interesting, especially since they've trained some of them to essentially hunt the truck. 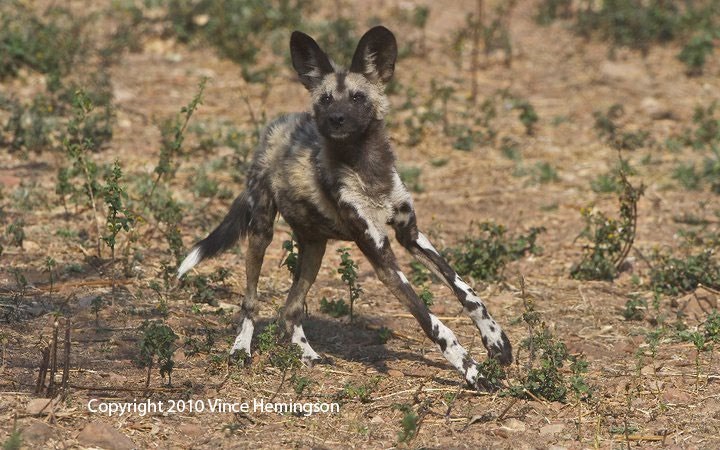 If you've never heard or seen Wild Dogs on the hunt—which involves them running alongside their prey for long distances—then you won't have any idea of what I'm writing about here. But for those of you who haven't had that experience, the chorus of yipping that occurs is unmistakeable and very ominous when you're the one being hunted (even if you are in a truck). Of course, almost all of you reading this have never had the experience of seeing Wild Dogs hunt, so you'll just have to imagine it. Wild Dogs are extremely rare in Africa now, and the likelihood of seeing them in the wild is getting very low and usually in only a handful of places is it possible at all (hint: stick around for the Botswana workshop blog ;~). I saw a lot of other great images from the students this afternoon, but I'll leave it to them to show them off on their blogs and image pages (pointers coming at the end of blog). The main thing I wanted to get across here is that today was practice for the real thing, which will begin tomorrow as we head to Kirkman's Kamp, adjacent to Kruger National Park in the Sabi Sands. Hopefully all the students are now a little more ready for the random animals actions we're about to encounter, and fully up to speed with their focusing and exposure techniques.